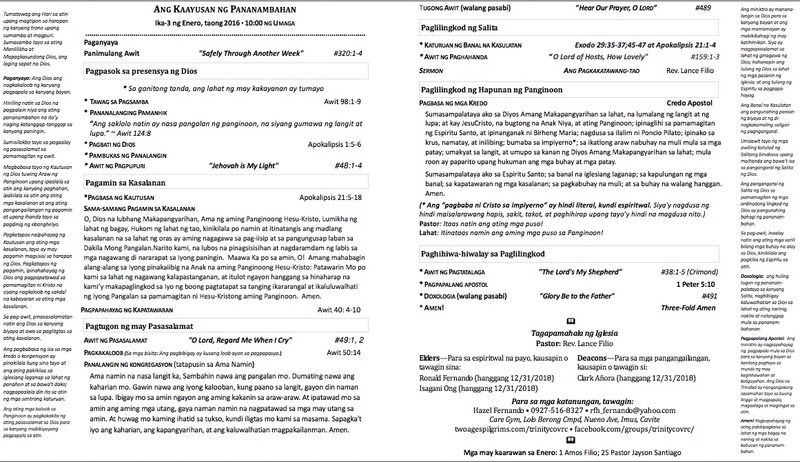 Recently, a visiting minister from the States noticed the worship service bulletins of Pasig and Imus Zion Cornerstone Reformed Church. He appreciated that our bulletin had a short explanation of each element/circumstance of the worship service. He also commended our adherence to the Regulative Principle of Worship’s dialogical format of worship. Now, Rev. 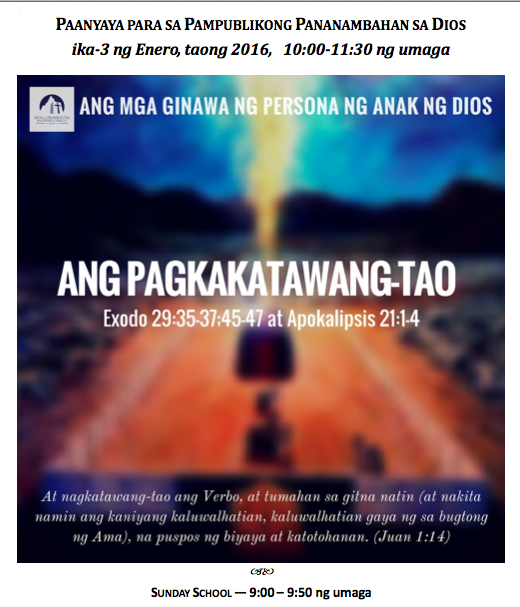 Lance Filio has translated the whole bulletin into Tagalog. Check out this beautiful liturgy! Hover over the left and right columns where the worship is explained to magnify. Or click on the image below to enlarge it.